The recent excavation of pits with the deposition of human cremated remains provided quite important new information about funerary practices in chalcolithic Perdigões (and in Chalcolithic Iberia). 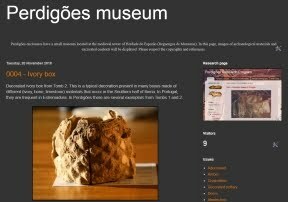 Associated to these depositions (still in excavation) there were several human figurines, well known in South Iberia, but until now absent in Portugal. They are made of ivory and the majority is burned and fragmented, suggesting that they were submitted to fire with the human remains (as well as other materials). 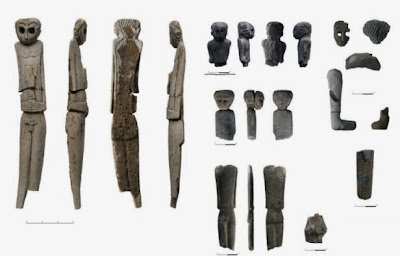 This assemblage of figurines was recently studied and a paper will be published in the Journal of European Archaeology. More than discuss what they might represent, the paper focus on the pattern, realism and postures of the figurines and on their possible social role. “Based on a set of anthropomorphic figurines, this paper suggests that the search for realistic human proportion and canonical posture in the carving of those objects as means of expressing ideology through body postures, in a context of diversified forms of manipulation of the bodies in funerary practices. António Carlos Valera and Lucy Shaw Evangelista, “Anthropomorphic figurines at Perdigões enclosure: naturalism, body proportion and canonical posture as forms of ideological language.” in press.